Fertile, Minn. (February 3, 2015) - Entering the mid-point of the season this past weekend, Christian Brothers Racing snocross riders Logan Christian, Dave Joanis and Tyler Adams saddled up to race the ISOC Deadwood Shootout snocross in Deadwood, South Dakota. Fast becoming a favorite on the snocross calendar, the Deadwood Shootout takes place in the rodeo grounds right in downtown Deadwood. Once known for its lawlessness, Deadwood is now a tourist attraction and played host to Rounds 7 and 8 on the ISOC National schedule. The track at Deadwood is typically one of the smallest riders will see during the race season and its tight confines make for exciting racing. Starts are key to getting a good finish here and Logan Christian continued to be quick off the line on his DOC 360/DRIFT Racing Arctic Cat, taking two Top 5 finishes on the weekend. "We had a really good weekend in Deadwood," said Logan Christian. "I qualified 3rd on Friday and ended up 5th in the final and came back Saturday to get a 4th in the final. The track was fun but tough to race on because it was so tight. My mechanic Betsy Haldorson and our suspension guy Mike Carver had my DOC 360/DRIFT Racing Arctic Cat dialed in." 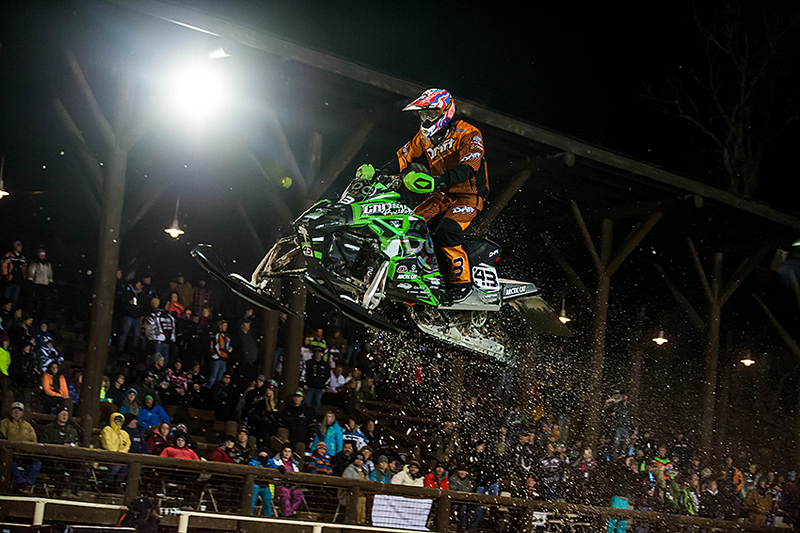 Royal Distributing/Arctic Cat rider Dave Joanis entered Deadwood coming off a great run at the Winter X Games. Joanis was able to qualify for both finals and notched a 9th place finish on Saturday, his best of the weekend. "Saturday was definitely the bright spot for me," said Joanis. "I had to qualify through the LCQ but ended up 9th, which I?ll take. It was such a small track I'm glad to get out safe and I?m looking to regroup in New York this weekend." 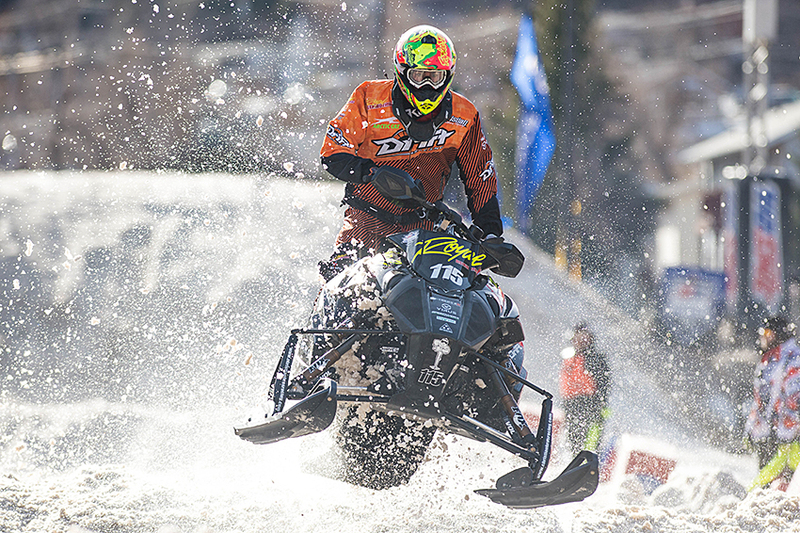 Tyler Adams entered Deadwood with a ton of momentum after notching his first Pro Lite win at the previous snocross National event. 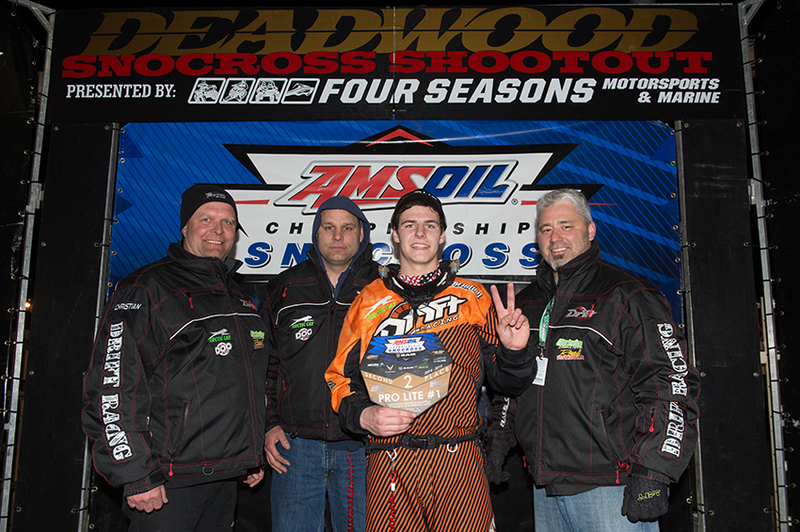 He used that momentum to take two 2nd place podium finishes at Deadwood, making his streak of podiums three in a row. "What more can I say? Everything came together perfectly for this weekend!" Adams said. "Wish I could have taken home 3 straight wins, but I'm still pumped about 3 straight podiums!" It was a double weekend of racing for the team with cross-country racers Zach Herfindahl and Ryan Trout competing at the USXC Park Rapids 106 in Park Rapids, Minnesota. With virtually no snow on the ground, the race was held entirely on Fish Hook lake. 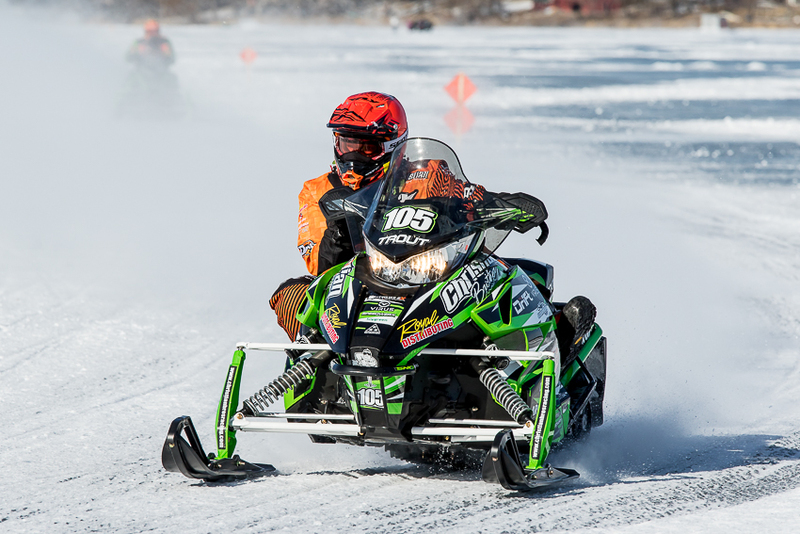 Riders duked it out on a lemans style course that wound around the ice taking riders on a 10.6-mile tour of the lake. Herfindahl was top qualifier for both Pro Open and Pro Stock finals. After winning the shorter Pro Open race, Herfindahl took to the track for the 100-mile Pro Stock feature. At one point he got together with another rider and lost time, dropping him back to 5th place. "Park Rapids went really well," said Herfindahl. 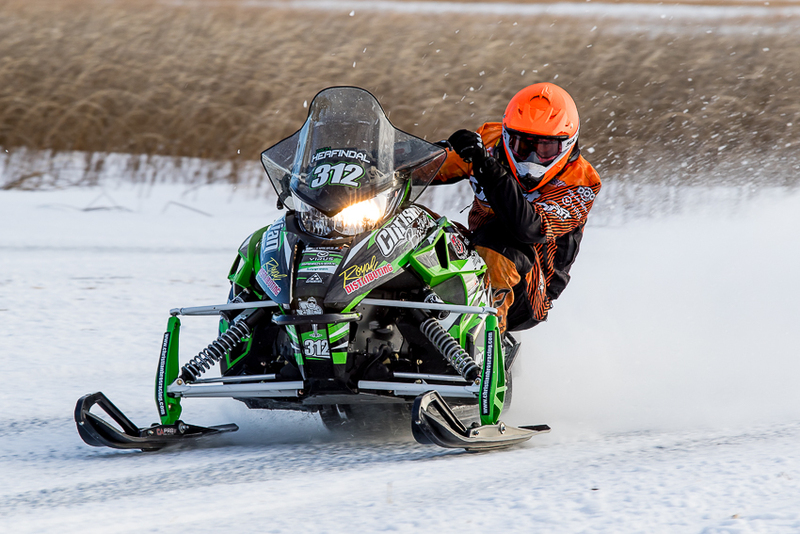 "The team had the sleds working great and it showed in our performance. I'm happy with the win in Pro Open and barring a mistake in Pro Stock we did well there too. I?m looking forward to getting some snow and the next USXC race in a few weeks." Ryan Trout lined up in the Semi-Pro class at Park Rapids. He qualified 4th in Semi-Pro Improved and worked his way up to a 2nd place finish. In Semi-Pro Stock he qualified 7th, which put him on the second row for the heads-up start, but he worked his way up to 5th place by the end of the race. "I had a good race," said Trout. "I qualified pretty good and had a good runs in both classes. It feels good to get on the podium in Semi-Pro Improved and I'm pretty happy with 5th place in Semi-Pro Stock too. The crew worked hard and we had a good sled." For more information on Christian Brothers Racing visit www.christianbrosracing.com.